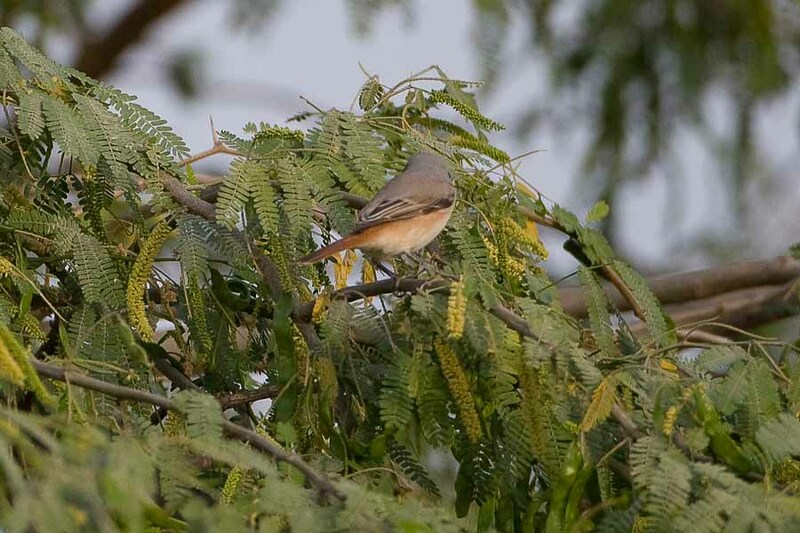 Whilst birding Dhahran Hills near the wet ditch on 5th March Phil Roberts saw a 'karelini' type Turkestan Shrike. I also saw the same bird last night at the percolation pond hedge and also saw a similar bird on 15th April 1012 but that was not a true ‘karenili’ but probably a Turkestan x Red-backed Shrike (or other species) hybrid due to the extent and depth of black in the tail, the crown & mantle colour not being pale grey enough (it should be like a 'grey shrike' in colour) and the underparts not being clean white. Although the bird I saw “would certainly fit into Panov’s series of 'karelini' types” (Alan Dean pers comm). 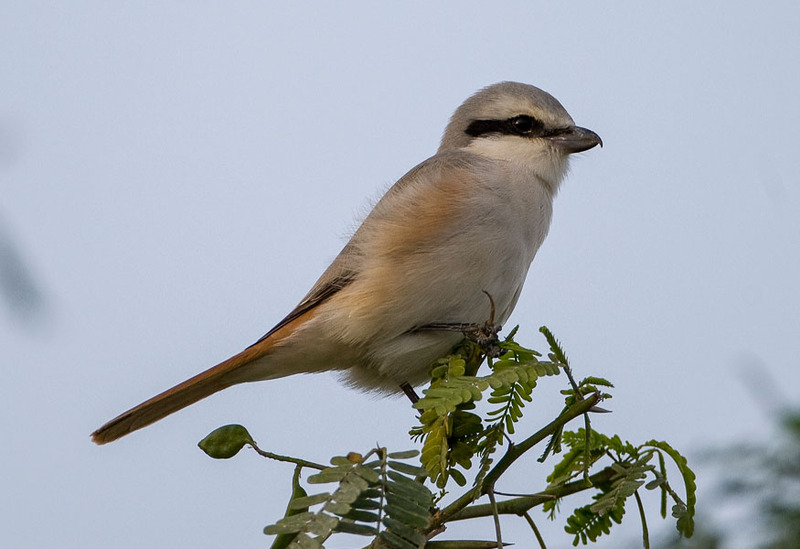 This bird looks similar with dark in the tail and some rufous on the lower mantle. Phil kindly sent me his photos (top two) and allowed me permission to put them on my website. This type of Turkestan Shrike is very interesting and the following paragraph s taken from Wassink, A & Oreel, G J 2007. The birds of Kazakhstan; Phoenicuroides occurs in two colour morphs, the grey ‘karelini’ morph and the rufous ‘phoenicuroides’ morph. In Kazakhstan, where phoenicuroides is a widespread breeding bird, the ‘karelini’ morph dominates in the lowlands north and west of Lake Balkash (where the distribution meets that of Red-backed Shrike L collurio), whereas the ‘phoenicuroides’ morph dominates in the mountains south and east of Lake Balkash. 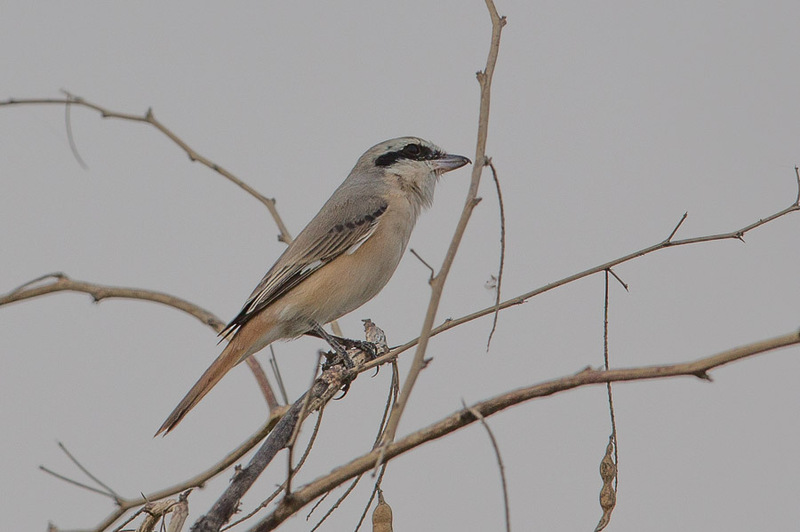 The bottom three photos are of an adult Daurian Shrike showing similar plumage to the Turkestan 'Karalini'. I'm a bit confused, Jem, what are the 3 lower pictures of? I think it is the same bird as the one above but taken the next day in poor weather? Hi - nice images. 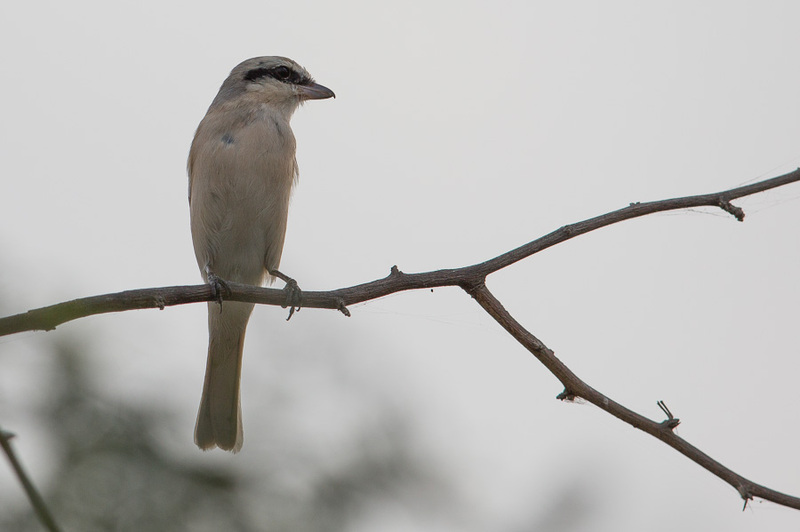 The lower three images look to be of a different bird though - looks like a Daurian Shrike. It has white primary flashes lacking on the apparent hybrid. Thanks for a nice blog. 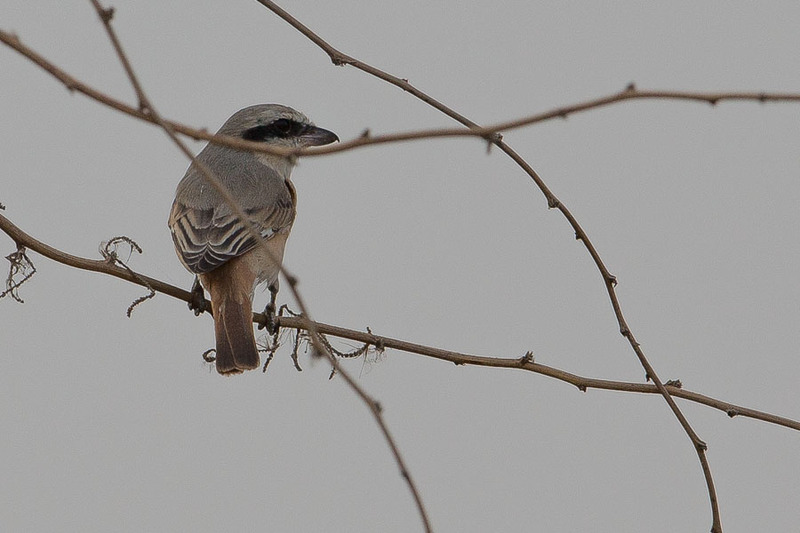 Thanks this certainly appears to be a Daurian Shrike now I have looked at it more closely. Probably why Laurie was confused as well?